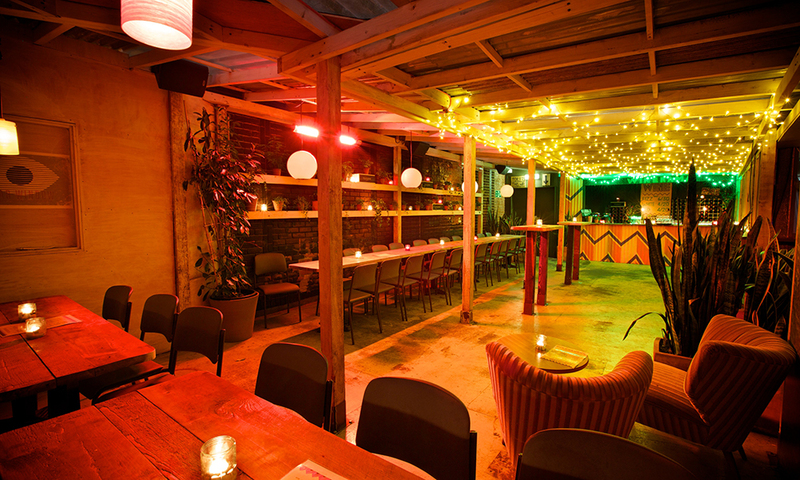 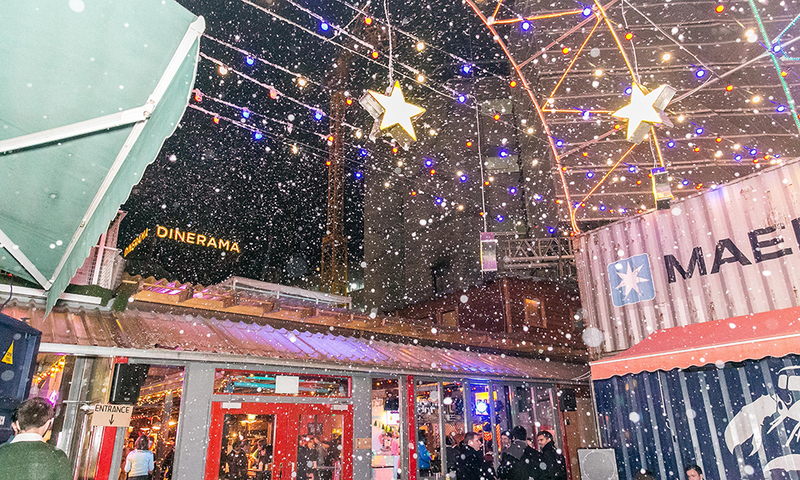 Winter at Dinerama becomes full of Christmas market and festival vibes; the venue is roofed and winter-proofed so is toasty and warm with log-burning fires throughout the festive season. 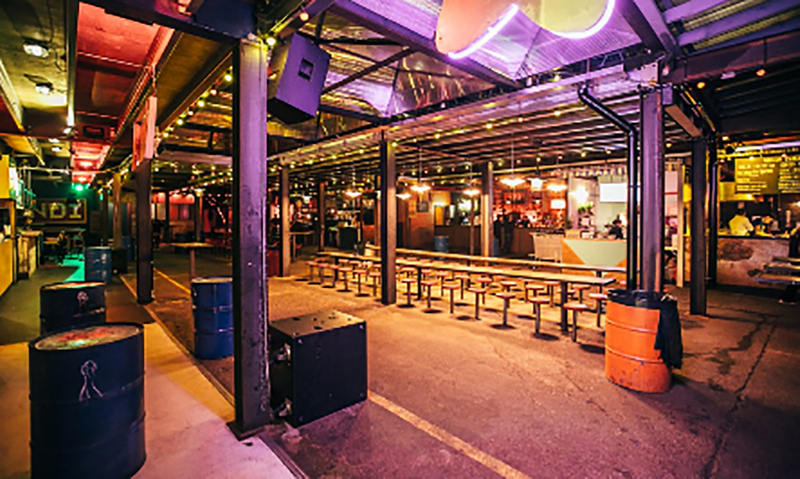 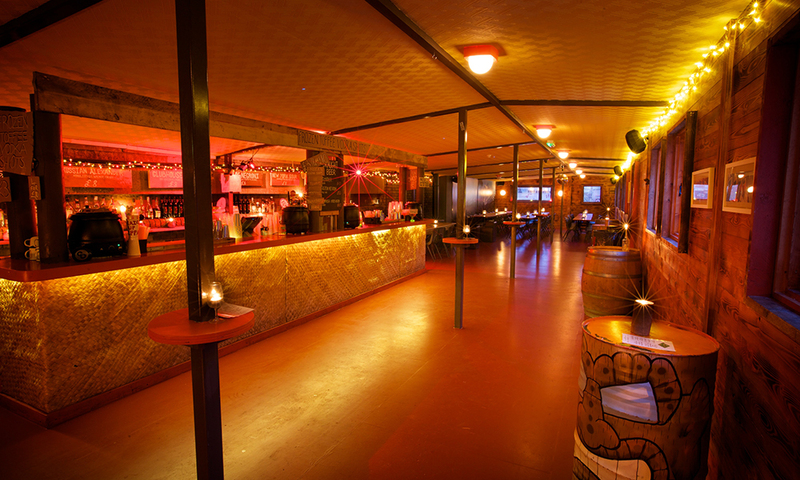 Once a former bullion truck yard, in the heart of Shoreditch Dinerama is a great festive party venue split over two-levels, has a 1,000 capacity, creating the ultimate Christmas party playground. 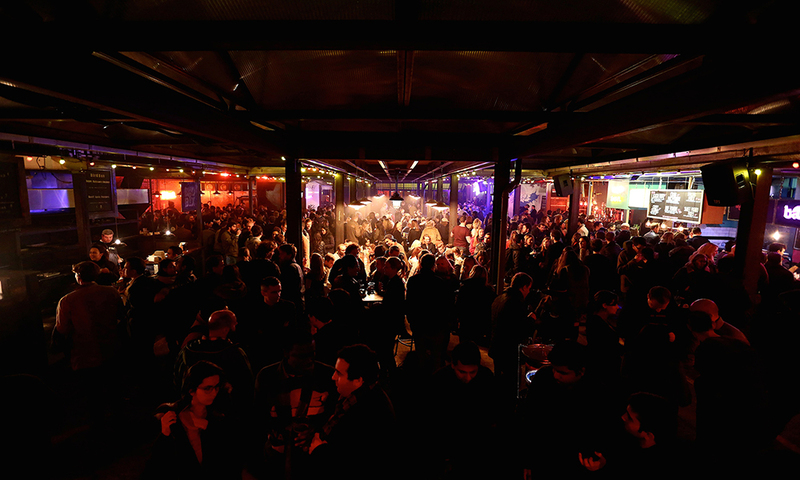 With eight bars serving mulled wine, mulled cider, winter warmer cocktails and alcoholic-hot chocolates along with craft beers from around world --Dinerama is host to London's best street food traders --this is the ideal space to create a fantastic festival-style festive event, small from 30 people or large up to 1000 people.